Here’s the receipt. Click to enlarge. As you can see by the receipt, she had a 12.1″ display, a whopping 16MB of RAM (memory), a 33.6 Fax Modem (what the hell is a modem), and a giganturaous 1.44MB Hard Drive. You may laugh at the chip size but a Pentium 200MHz MMX chip was considered the latest and greatest technology at the time, especially for gaming. Think you could run any of today’s games on this computer? Think again! Compared to today, I can get for example a brand new Dell Inspiron 15R with a 15.6-inch widescreen high-definition (HD) display, the new 2nd Generation Intel® Core™ i3 Processor, 3GB Dual Channel DDR3 SDRAM at 1333MHz and a 320GB4 hard drive (5400RPM) for $549. Even the largest MacBook Pro is right around $2,499. Thank goodness that computer prices have come down but what we used to have to pay was nothing but ridiculous. And where is my first laptop today? If it is not in a landfill somewhere, I’m sure it’s serving its purpose well as one of the world’s most expensive door stops. Thanks for the tips shared in your blog. Something else I would like to mention is that weight loss is not about going on a dietary fad and trying to lose as much weight as possible in a set period of time. The most effective way to shed pounds is by getting it slowly but surely and following some basic tips which can allow you to make the most from your attempt to shed pounds. You may understand and be following a few of these tips, although reinforcing know-how never affects. My first laptop was a PowerBook Pismo. It cost nearly $3k as well. It was fantastic and helped me get jobs. You can read more of those type of laptops here. The fact that computer prices are continuously dropping, and their sizes are doing the same, is a major reason why I got out of computer repair. They’re no longer worth fixing. Just pull out the HDD and get a new PC. In the 90’s business was booming. Sadly, the world is getting away from desktops at an alarming rate and everything going to laptops and tablets. This is sending the work time required per unit up but people don’t want to pay for it. 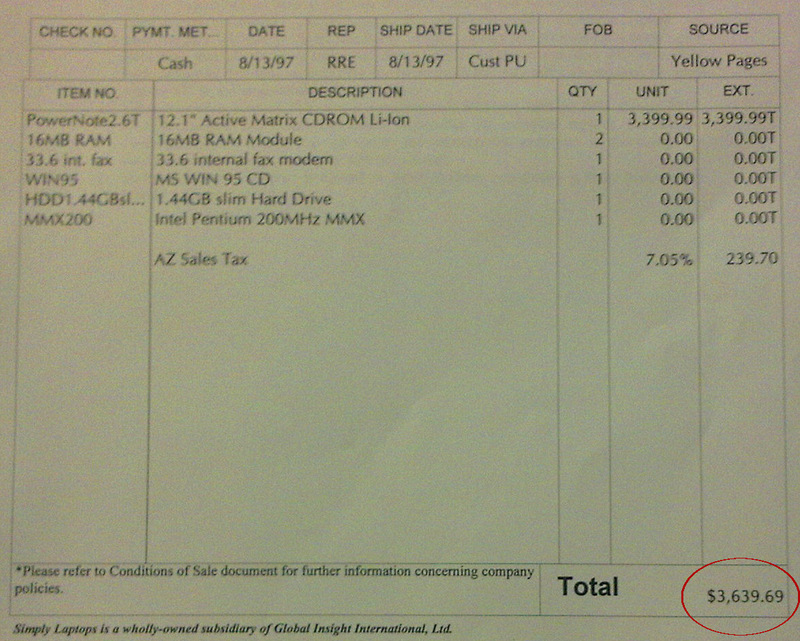 Making a living in PC Repair is a losing battle.